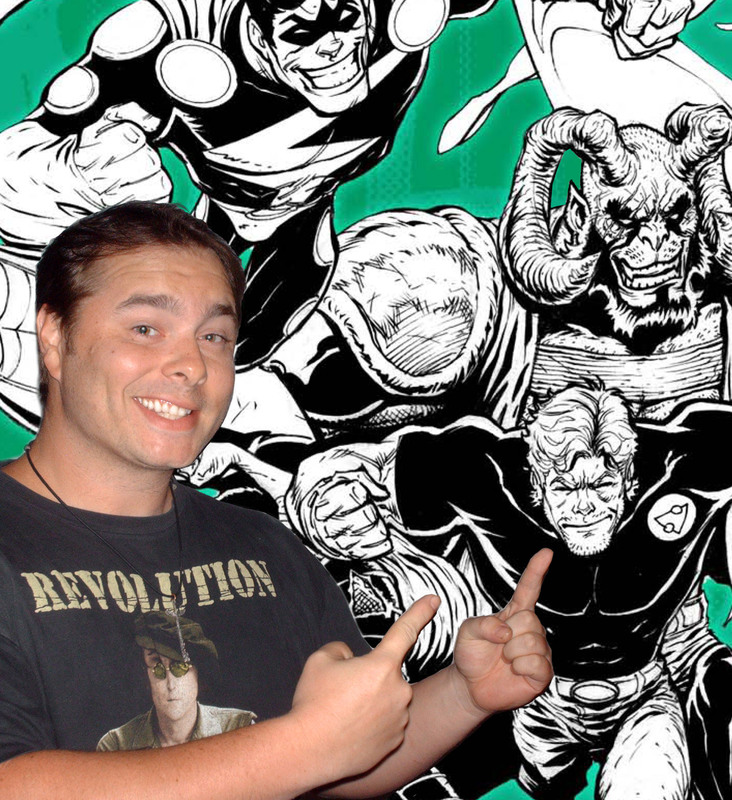 InvestComics interview’s an artist from the new comic publisher Arena Comics! Kevin Stokes of the “Guardian Project”, “Smallville” television series and much more! Let’s get to know Kevin and check out some of his awesome work…..
(Jay Katz) We want to start from the beginning Kevin, where are you from and when did you first start drawing? (Kevin Stokes) I was born is South Carolina, but my father was in the military so we moved around a lot. My family mostly lives in the southern states which is why I consider myself an Alabama native. I’ve been drawing as long as I can remember; artistry kind of ran in the family genes. (JK) What was your first assignment that saw print? What was that like for you? (KS) My first published work was for a company called ‘Delta Comics’ and the story was titled ‘Chains’. It was about a demon possessed body builder; it wasn’t the greatest story but it felt cool to be working on comics while I was in high school. (JK) You’ve gotten the great privilege to ink such great characters like Batman, Spider-Man and the X-Men and many more. Do you have a character that you find the most challenging to ink? If so why? (KS) Well, I mostly ghost inked on a lot of books. But I have to say one the most tedious story arcs I worked on was on Batman. Mainly, because the storyline revolved around Gotham City and not Batman; so there was a LOT of Gotham City and very little Batman. (JK) Do you have a hero or villain that you haven’t worked on yet that you’d one day love to tackle? (KS) ) I’ve worked on a lot of the cool characters but not exactly doing what I wanted to do on those books. If I could pencil or pencil and ink the books; Punisher, Batman, Superman, and Spider-man would be my top choices! 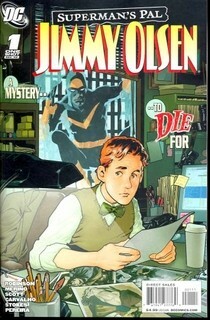 (JK) You worked on DC’s Jimmy Olsen. Did you have a chance to ink Superman on that book or strictly on Jimmy only? (KS) Unfortunately, no. Though the ‘Guardian’ showed up in the story and was fun to ink! 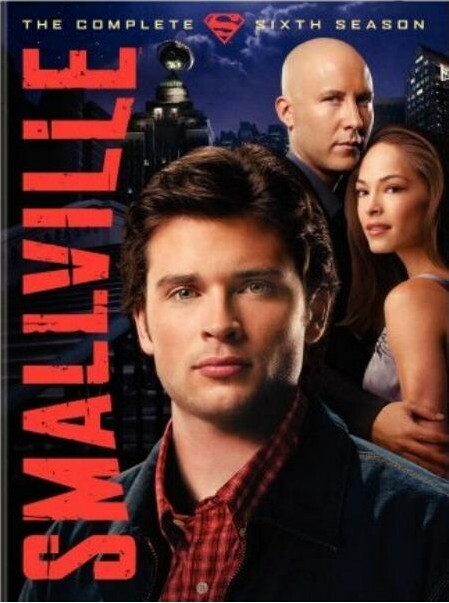 (JK) Sticking with the Superman theme here, it says in your bio that you worked on the Smallville television series (sixth season). To what capacity did you work on that show? 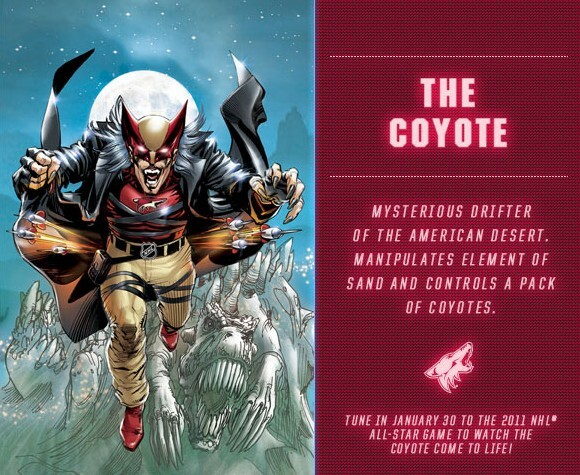 (KS) On the last five episodes of ‘Smallville’ season six, there were quick motion comics that appeared during the middle of each episode. These short motion comics were titled ‘Justice and Doom’, and out of these five episodes I worked on two of them. Again, it’s a ghost credit but Steve Scott and Nathan Massengill can vouch for me that some of that work was my pencils and inks! (JK) Image Comics’ “Shut up and Die” was penciled by you. 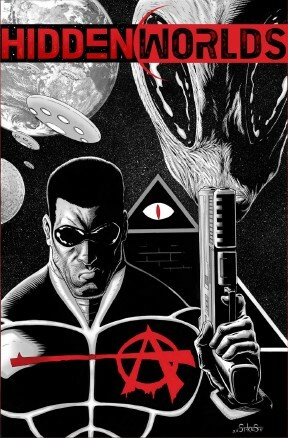 What was the premise of that book, and do you have any plans for future Image Comics? 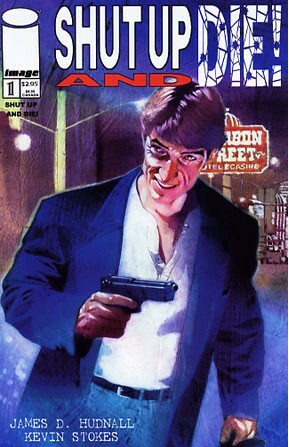 (KS) ‘Shut Up and Die’ lasted three issues and was written by James Hudnall. The main premise of that title was to show how subtle actions by everyday people can lead them to crime and violence. It wasn’t exactly the most uplifting book to say the least… As far as working with Image again, I’d love to; it just depends on what comes up in the future. 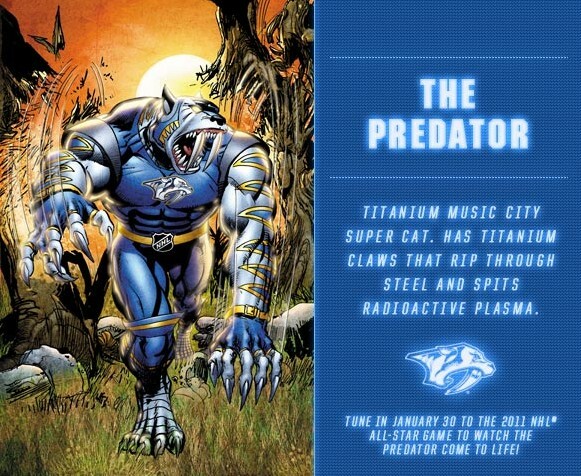 (JK) You teamed up with the Iconic Stan Lee for an NHL (National Hockey League) project called the “Guardian Project”. You worked on a few of the characters for that project. What was it like working alongside Stan Lee? !Also, did you happen to do the character on my personal favorite team the New York Rangers? 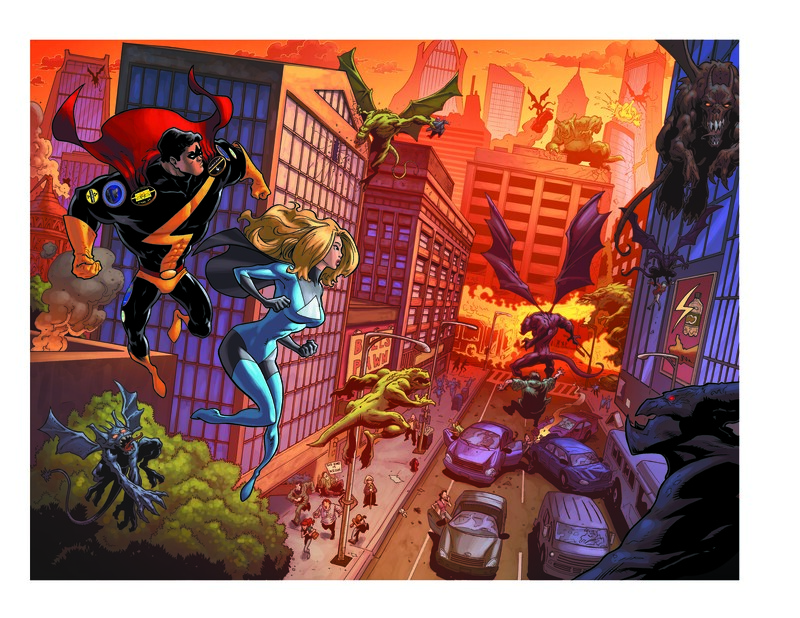 (KS) I do really love ‘The Guardian Project’, and working with Stan Lee is a dream come true. I can’t say that I worked “alongside” with him, but he did approve everything. I would receive feedback and direction from the editor who would talk to Stan. I worked on ‘The Penguin’, ‘Star’, ‘Maple Leaf’, ‘Coyote’ and ‘Predator’. Sorry, I didn’t get to work on ‘The Ranger’ for your favorite team, but if all goes well it looks like I might get the chance to draw all of them! 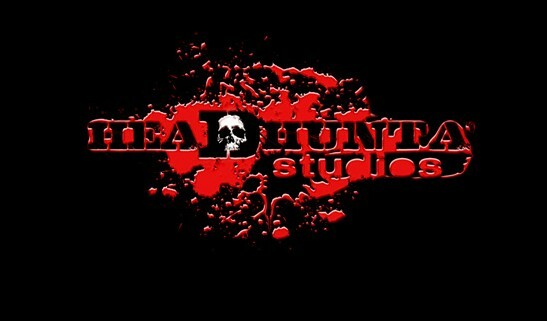 (JK) You’re a current member of the awesome studios “HeadHunta”. Some current members include, Sergio Cariello, Nathan Messengil, and Dave Wilkins just to name a few. You’re in some great company there! How did you unite with such a fantastic studio? traveling to various comic conventions and meeting more artists who wanted to work with us. So we thought we’d start an art studio that didn’t have a physical location and that artists can join the studio anywhere in the world. Some artists like Nathan Massengill, we’ve known for years and some are new friends we’ve met along the way. (JK) What are some of your future projects with HeadHunta Studios? (KS) It depends on what opportunities are presented to me at ‘Headhunta’, but most of my projects with the studio will be published though Arena Comics. 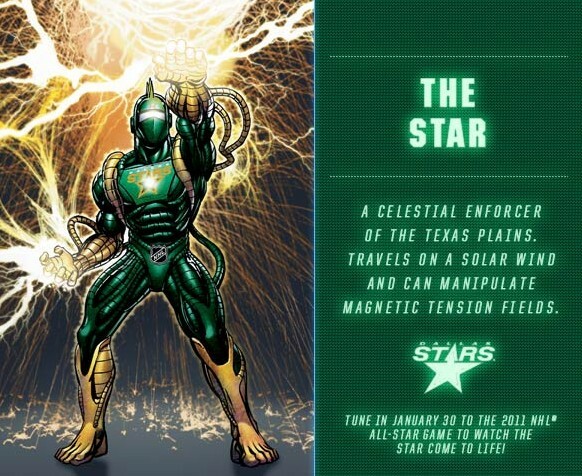 (JK) Speaking of Arena Comics, you recently teamed up with the new comic company. How did this happen and who else is at Arena Comics right now? (KS) ‘Arena Comics’ formed because Yasmin Khan, Chris Walker, Ben Fisher, and I wanted to start a publishing company. Derrick Fish, Tony Washington, Jeremy Cox and Tom Luth are also very talented artists bringing their magic to the company. (JK) What comics are working on at Arena Comics? 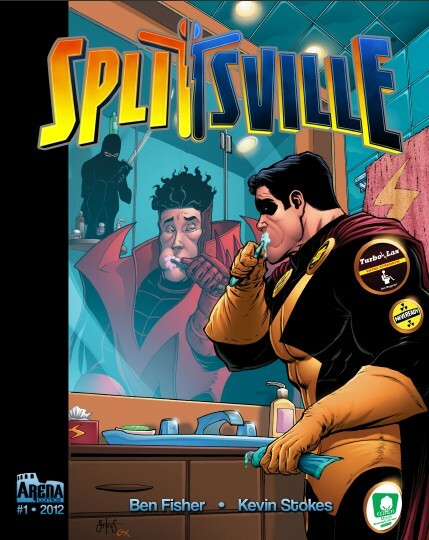 (KS) ‘Splitsville’ is an animated superhero comedy kind of like ‘Megamind’ or the ‘Incredibles’ and will be the first to come out through ‘Arena Comics’. ‘Hidden Worlds’ is an action adventure and a play on all the conspiracies of the world. 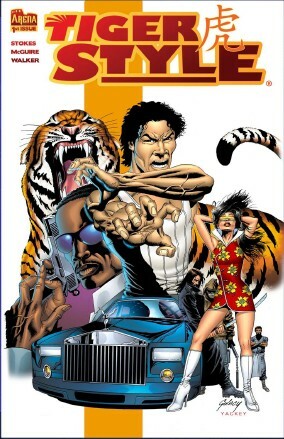 ‘Tiger Style’ is an dark action kung-fu and ‘Departure’ is the classic space epic fantasy. Derrick Fish’s outstanding art in his own creation titled ‘Wellkeeper’ has been printed and is out. The very awesome Yazmin Khan will have a book coming out as well. (JK) Do you have creative input as far as character development goes? (KS) Each book that I’m working on for ‘Arena Comics’ started as the brain-child of either Chris Walker, Ben Fisher or myself. Who’s ever brain-child it belongs to takes the lead in the writing of the book, but it is a collaborative process and we bounce ideas back and forth. So, yes, and with both ‘Hidden Worlds’ and ‘Departure’ as my brain-children I get the opportunity to write as well. (JK) What target is Arena Comics shooting for? (KS) Our target is to produce high quality books that are put out there by artists and writers with passion and the ability to express artistic freedom. (JK) When will Arena Comics be available in comic shops? (KS) Soon. There is a lot of work done on the first books of each title but there is still always a lot of work to do. ‘Splitsville’ will be the first to see print and then ‘Hidden Worlds’ followed by ‘Tiger Style’ and ‘Departure’. (JK) Are you currently working on any other Independent projects? 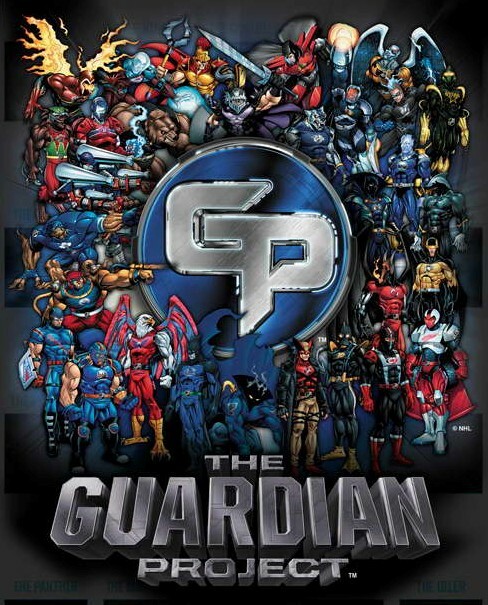 (KS) Outside of juggling the four titles under ‘Arena Comics’ is the ‘The Guardian Project’. But I still take on various art projects, it just depends on what comes my way. (JK) Where can fans find you so that they can follow you, email you and look at your incredible work? (KS) I’m currently re-vamping my website and working on getting into other social media sites. For the moment, the best way to contact me is my website which is stokedart.com or headhuntastudios.com, though you might can find me on facebook. Thank you Kevin! 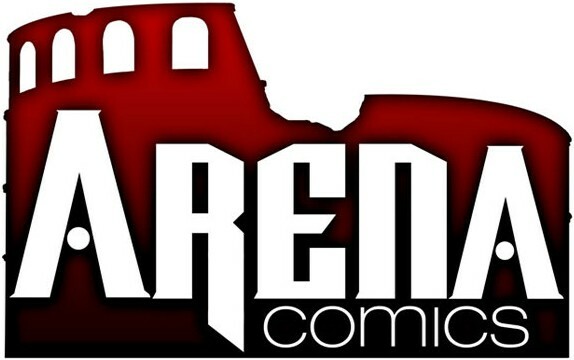 And we all look forward to checking out your new comics from Arena Comics and so much more! And be sure to check out the NEW Arena Comics web page right HERE!